“Report it to Stop it” campaign to help prevent sexual harassment on London’s public transport. 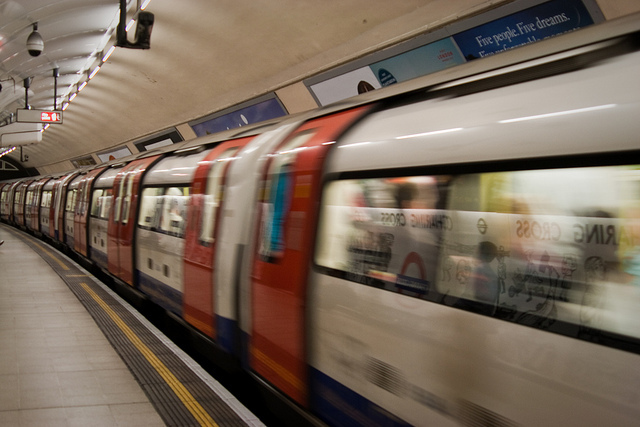 Transport for London (TfL), as the organisation in charge of a large part of the city’s public transport system is called, have taken another step in their Project Guardian initiative, which began in 2013, to tackle unwanted sexual behaviour on public transport. A 2013 survey found that 15 per cent of women and girls have experienced sexual harassment on London’s public transport, but only one in ten of them reported it. Project Guardian, a collaboration between TFL and the police, with The Everyday Sexism Project, the End Violence Against Women coalition and Hollaback! London offering advice, saw officers given special training on how to deal with sexual harassment. The new “Report it to Stop it” campaign, launched earlier this month, aims to encourage women to report sexual harassment whenever it happens. TFL have released a hard-hitting video which highlights the kind of behaviour women have to deal with on the tube, in an attempt to persuade women that no incident which makes someone uncomfortable is “too trivial” to be reported. The video shows a man harassing a woman on the tube, in a way that will be familiar to many female viewers. The man’s behaviour escalates, from an inital stare to following to touching ans rubbing himself against the woman, and at each step the viewer is asked if this is the point at which they would report what was happening if it happened to them. But will an increase in reporting mean a decrease in unwanted sexual behaviour? TfL also claims an increase of over 30 per cent in the number of suspects caught so far. This is encouraging to see, and it’s certainly positive to see the police and TfL taking this issue seriously. Far too many women are put off reporting any kind of sexual offences to the police because they fear that they won’t be believed or the incident taken seriously. But sexual harassment on public transport must be seen as a symptom of a wider problem; women will continue to be abused in public and in their homes until we change the attitudes and the behaviour of men.